I’ve had a lot of brunch in San Francisco, and Pomelo is the first where I’ve ordered from a “destination menu,” which included such “trips” to Seattle, Ireland, Japan, Peru and France. My friend chose to go to Cork. With corned beef, purple and sweet potatoes topped by two eggs, Cork was an adaptation between Irish meat and potatoes and a corned beef hash. While I enjoyed the creativity of the dish, I couldn’t help thinking how much more tender the corned beef would have been if the meat had been cut crosswise against the grain instead. I ordered the Eastlake (Seattle), a contemporary twist on the old standby Eggs Benedict. 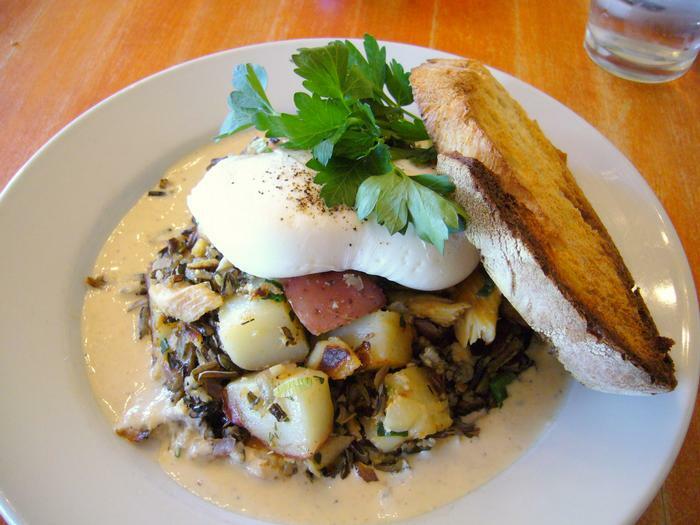 Two poached eggs sat atop a mound of hash made with wild rice, pieces of smoked trout and red potatoes. Horseradish cream glistened at the bottom of the plate. The rough texture of the wild rice and the smokiness of the trout were a perfect marriage with the cool creaminess of the horseradish. 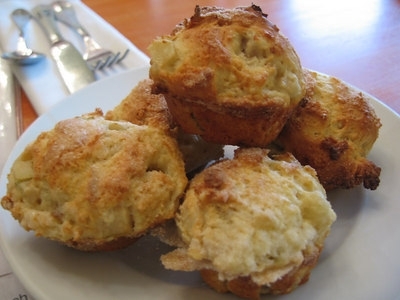 This entry was posted on October 23, 2007 at 2:57 am and is filed under Restaurants, Reviews with tags brunch. You can follow any responses to this entry through the RSS 2.0 feed. You can leave a response, or trackback from your own site.